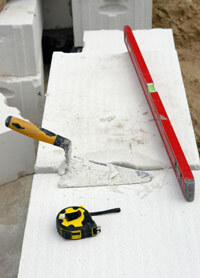 ADV Masonry is a Masonry Contractor based out of Naperville, IL. We provide a wide variety of services including: brickwork, stonework, chimney repair, tuckpointing and fireplaces, we work with brick, blocks and cultured or natural stone. We serve Naperville and surrounding communities including: Downers Grove, Lisle, Wheaton, Oak Brook, Hinsdale, Burr Ridge, Glen Ellyn, Orland Park and Highland Park. We pride ourselves on quality and professionalism. All projects are completed by our skilled craftsmen using high-grade brick, stone and blocks. To date, ADV Masonry has completed every project ever contracted. Please take a few minutes to browse through the rest of our site and learn more about our company! We look forward to hearing from you soon! Call 630-771-0608 or send us an email online for a quality Stone Mason. ADV Masonry provides a variety of Mason and stonework services such as custom masonry, brickwork, tuckpointing, stonework, chimney top repairs, waterproofing, new home construction, and many more services throughout the Chicagoland area, including: Naperville, Downers Grove, Lisle, Wheaton, Oak Brook, Hinsdale, Burr Ridge, Glen Ellyn, Orland Park and Highland Park, IL.